With the increased demand of digitization of Indic scripts in today’s world, many Devanagari printed and handwritten text recognition and extraction techniques have been developed and are used in industries, corporate, and institutional domain areas. Because of the script and character structure difficulties, and handwritten content-based criticalities, Hindi handwriting processing is considered as a big bottleneck in recognition systems. This paper introduces NMC handwriting types and complexity evaluators for Hindi language. The inherent challenges of handwriting are discussed further. Although several Hindi-based handwritten character recognizers have been developed, they are limited to the segmentation and identification of character images only. So, this paper proposes a new idea of offline Hindi handwritten document classification, which first recognizes and classifies the character images, and then classifies the document image into the predefined category. 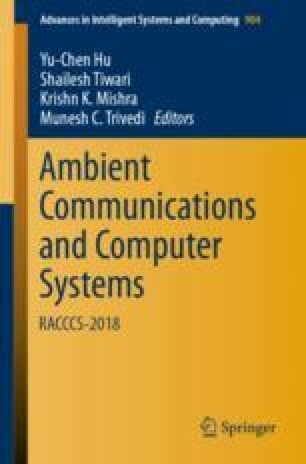 In support of this concept, this paper provides a case study using a set of Hindi handwritten documents and shows their segmentation and classification results. The proposed system puts a step ahead in the direction of automatic document image classification.